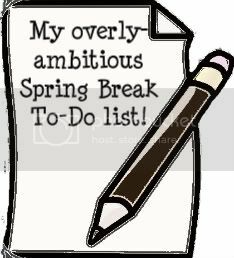 Ferg Family Adventures: Spring Break To-Do List! 3. REPORT CARDS. UGHHHHH. I have some grading that I need to do first before entering grades in...I have a feeling I'll be doing this like the night before going back to school! These new report cards are SO involved and LONG and time-consuming! 4. Run this race next weekend! This is a pic from the race last year....holy crap load of people! Makes me nervous! I just wish the weather would be nicer!! It's supposed to be rainy and 50s most of the week! Yuck!